18K White Gold Diamond Tennis Bracelet 1.00 CTW IGI Certified 7"
October - Opal & Tourmaline November - Topaz & Citrine December - Tanzanite & Turquoise. July - Ruby August - Peridot September - Sapphire. MAIN STONE Sky Blue Topaz. How to find correct size of Bangle. Product ID: 753593. Stones: Peridot. Profile: Ring. Ring size: 6. Ring Sizes. Ending Soon. Natural Stones. (Natural Blue Topaz. 14K white Gold (14K stamped). Blue Topaz. Weight 14K Gold 2.15g. Item is fine polished. must match ). Clarity: Very Good. Color: Very Good. (Natural Ruby. 14K white Gold (14K stamped). White Topaz. Weight 14K Gold 2.98g. Item is fine polished. must match ). Clarity: Very Good. Color: Very Good. (Natural Peridot. 14K white Gold (14K stamped). Weight 14K Gold 5.96g. Item is fine polished. must match ). Clarity: Very Good. Color: Very Good. If the order. Face Ring VSI GOOD QUALITY WITH SLIGHT INCLUSIONS VISIBLE TO THE NAKED EYE. / problems you may have, all problems can be solved. SI2 MANY INCLUDED. SI1 INCLUSIONS BECOMING MORE PROMINENT TO THE EYE. MAIN_STONE : Peridot. SECONDARY_STONE : Garnet. MATERIAL : Gemstone. MAIN_STONE_SHAPE : As Seen In Picture. MAIN_STONE_COLOR : As Seen In Picture. STYLE : Cluster. OCCASION : Party. Material Sterling Silver. Diamond grading is not an exact science. To complicate matters further, no two diamonds are alike. Hence, Diamond grading is an opinion. Considering these factors there will always be a 1-2 grade opinion difference. 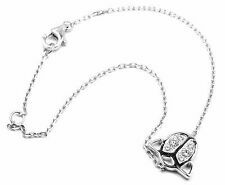 All jewelry photos are taken by professional photographers. We are very fair and easy to deal with. Save Big! MAIN_STONE : Solar Quartz Druzy. MATERIAL : Gemstone. MAIN_STONE_SHAPE : As Seen In Picture. MAIN_STONE_COLOR : As Seen In Picture. STYLE : Cocktail. COUNTRY/REGION_OF_MANUFACTURE : India. RING_SIZE : 7.5. 925 silver with gold overlay set with a large rose quartz gemstone. Stunning ring as new. Style: Diamond & Tourmaline Ring. Stone Type: Natural Tourmaline. Natural Diamonds Weight: 0.10ct. Settings Gold Ring. Gemstone Gold Ring. Diamond Wedding Bands. New Arrival. Settings Gold Earrings. COLOR : PIGEON BLOOD RED. ORANGE SAPPHIRE ROUND DIAMOND CUT 1.5 MM.X 26 PCS. OTHER : WHITE SAPPHIRE ROUND DIAMOND CUT 1.5 MM.X 28 PCS. SHAPE : OVAL CUT & ROUND DIAMOND CUT. LUSTER : FANTASTIC. FACE RING 25 X 19 MM. Signed 14k. The gold has been verified with our gold tester. 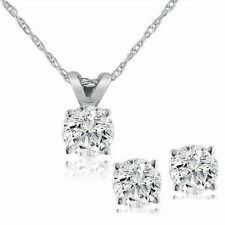 OTHER GEMS Cubic Zirconia. October - Opal & Tourmaline November - Topaz & Citrine December - Tanzanite & Turquoise. July - Ruby August - Peridot September - Sapphire. How to find correct size of Bangle. It is hallmarked. Check the photos for size, condition & weight. Product ID: 753589. Stones: Black Stone Gold Flakes. Profile: Ring. Ring size: 5. Ring Sizes. Ending Soon. Natural Stones. The charms of Rajasthan, especially Jaipur is so intense that nobody wants to pass on its essence, just in a search of ordinary jewelry available easily and holds no sui generis. Primary Stone: COPPER TURQUOISE. The charms of Rajasthan, especially Jaipur is so intense that nobody wants to pass on its essence, just in a search of ordinary jewelry available easily and holds no sui generis. Primary Stone: LACE AGATE. JTV, QVC. the whole nine yards. larimar and Blue topaz are a beautiful contrast to one another. Rarities - Carol Brodie Collection - HSN. 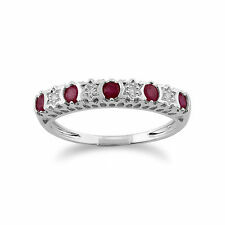 Color Enhanced Rubies and Natural White Zircon Ring in Black Rhodium. Plating : Black Rhodium. Gemstones : Ruby and White Zircon. If we receive any complaints about the missing item(s) later on, we will not be able to assist you. LUSTER : SUMPTUOUS. 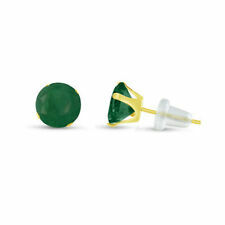 OTHER : GREEN SAPPHIRE ROUND DIAMOND CUT 1.7 MM.X 14 PCS. SHAPE : ROUND DIAMOND CUT. FACE RING 13 X 12 MM. RING SIZE : 6.75 (RESIZE : OK). COLOR : GREEN. WEIGHT : WEIGHT OF SILVER 3.55 g. WEIGHT OF STONE - ct. The charms of Rajasthan, especially Jaipur is so intense that nobody wants to pass on its essence, just in a search of ordinary jewelry available easily and holds no sui generis. Primary Stone: LABRADORITE. Solid 925 Sterling silver, princess cut eternity ring. Hallmarked 925. 0.08 c each stone. flawless white. Type Simulated Turquoise & Hematite. Material Tibetan Silver. Color Blue & Black. Diamond grading is not an exact science. To complicate matters further, no two diamonds are alike. Hence, Diamond grading is an opinion. YELLOW GOLD PLATED 925 SILVER RING SZ 6.5. OTHER : WHITE SAPPHIRE ROUND DIAMOND CUT 2.0 TO 2.5 MM.X 36 PCS. YELLOW GOLD PLATED 925 SILVER RING. LUSTER : GORGEOUS. SHAPE : OVAL CUT & ROUND DIAMOND CUT. Sterling silver and Onyx ring with an interesting celtic knot design at each shoulder. An oval natural black onyx stone set into a silver surround. The ring is marked 925 for sterling silver. UK size V, US size 10.5, EU 63. 14K GOLD ROPE NECKLACE WITH A SAPPHIRE STONE.